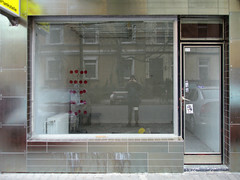 Grxxgs - a nearly secret artspace in Frankfurt Nordend has finally closed. After more than 20 years of operation. There were no invitations, no openings, no publicity. Just a continuous row of shows changing roughly every month. The owner made no fuzz about his work. We did not even know his name. Some people mentioned a certain Heinrich Göbel. Was he an artist? The space has been taken over by Martin Wagner. 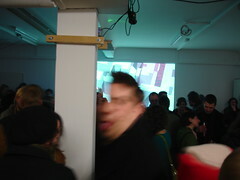 The living room gallery of Carola Reichel showed up for the first time during the offspaces hype in the late 1990s. We haven't heard from her for a while. 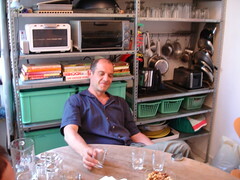 An invitation reached us for a show by Jürgen Wolfstädter in spring 2006. He himself is an operator of the nearby space Wildwechsel. ml44 is a funny concept. Open just a couple of days a year it is funded by the boarding room business of the owner. Yet, shows are booked up for years. 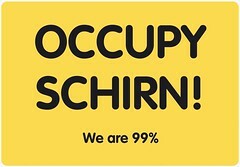 Group Raumpool has finally hit real estate with a small building housing studios in the Bahnhofsviertel. The place is called Basis. We are not shure wether it's a real offspace.